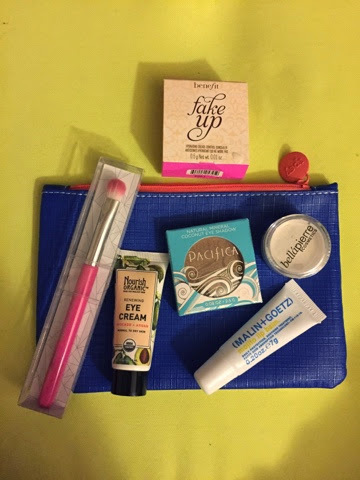 January's Ipsy bag came a lot later than usual, but I did get a BONUS item! The Benefit Fake Up sample. I actually redeemed my Ipsy points for the first time to get this so I'm super pleased to see that it arrived safe and sound. Learn more about ipsy.com and their amazing glam bags! !